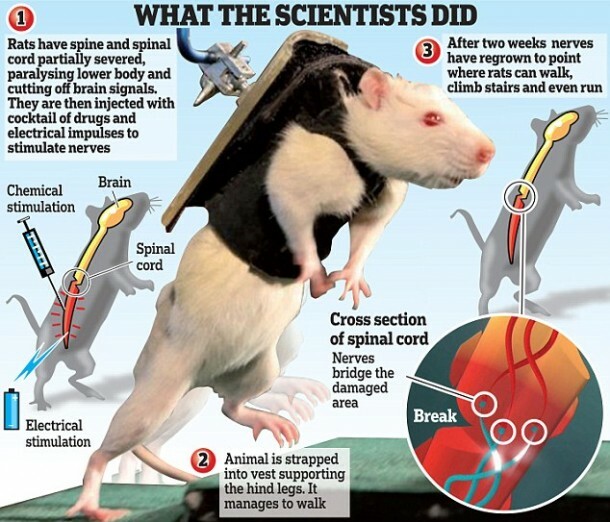 About 3 years back, the EPFL team of scientists achieved a breakthrough of managing to get rats that had severed spinal cords to walk again. 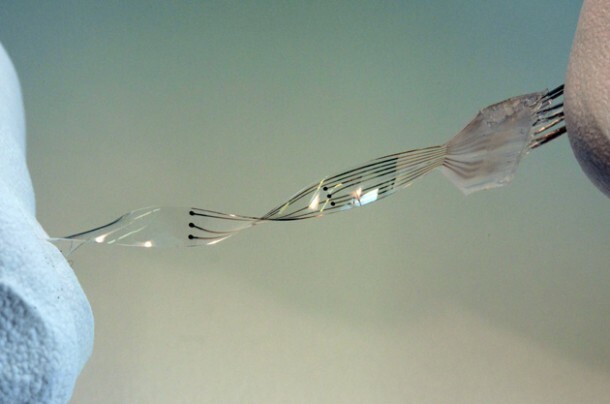 The method involved suspending the rats in a specific harness and using implants to enable electrical stimulation of neurons in the lower spinal cord. This allowed the team to enable rats with paralyzed hind legs to be able to run on the very same pair of legs. However, the technology was not practical for humans because the implants were stiff and would be eventually rejected by the body. This issue has been solved by the recent research at EPFL. The previous study used a method that started off with the injection of chemicals that would replace the neurotransmitters, which were unable to reach the hind legs of rats. 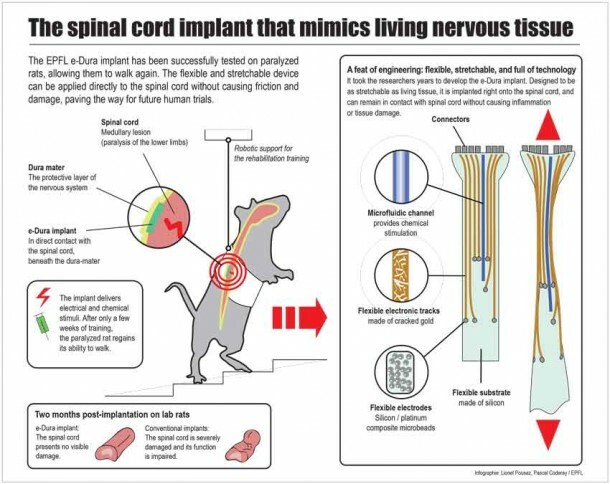 The electrical simulation was applied below the area from where spinal cord had been cut by making use of electrodes (implanted on the exterior layer of the spinal canal in that area), which resulted in causing movement in the hind legs involuntarily. After undergoing some training period, the rats were able to activate these electrical impulses through brain only, enabling them to run and walk on their own accord. Over time, the rats were able to form fresh connection between the brain and lower spine, thus bypassing the cut in the spinal cord. 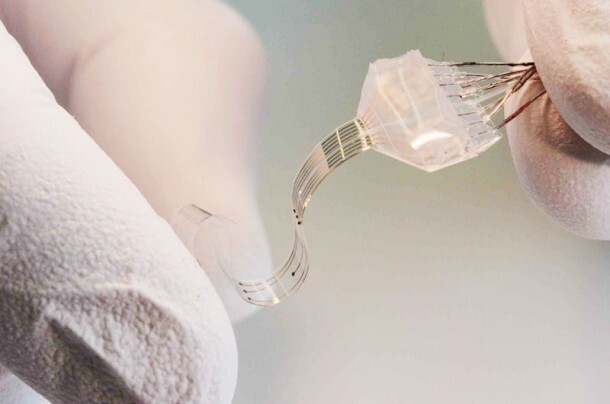 The recent study saw the creation of a new and improved implant known as e-Dura that has been designed so that it can be implanted on the cortex below the dura mater – the protecting envelope that covers the nervous system. 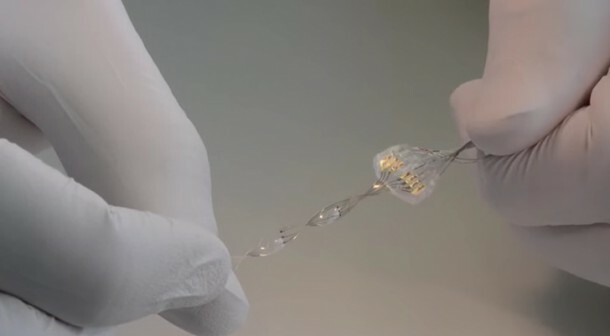 The implant has been made of a silicone substrate covered in gold-conducting tracks that carry electrodes created from a platinum/silicone micro-bed composite. The electrodes in question are capable of delivering current while being able to detect electrical impulses. Moreover, a particular microfluidic channel is included in the substrate that allows for the chemicals to be delivered – the same chemicals that had to be injected in the original study. This assembly is capable of remaining functional while also exhibiting flexibility to let the implant stretch and deform along with dura mater instead of causing inhibitions to its movement. These implants in rats have caused no issues even after being used for a time span of 2 months. 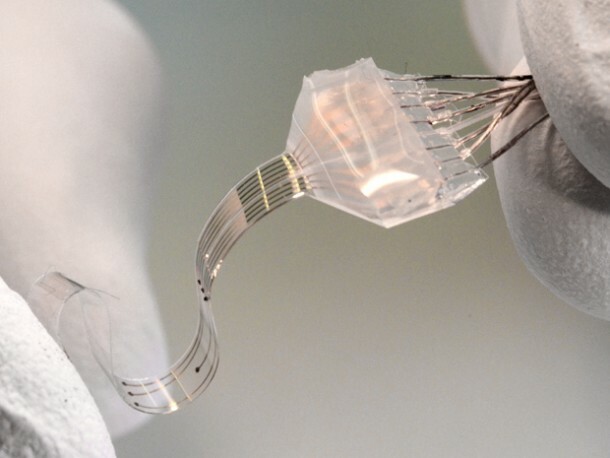 Whereas, as per EPFL, the conventional implants ‘would have caused significant nerve tissue damage’ in this time period. e-Dura is being prepared for commercialization while the team is looking forward to human trials soon! A great hope for paralyzed people, isn’t it? Very interested in this subject! am paralyzed from t 12 complete…will gladly sign up for research!